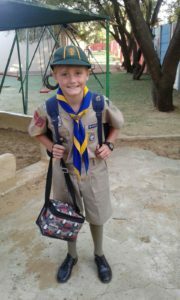 We spoke to Matthew Neveling (10) from 1st Henley Cub Pack in Gauteng. Cubbing is so much fun because you get to meet new people, learn lots of interesting things, and you get to do lots of fun activities. My best experience with Cubs was going on a camp at the end of last year. The weirdest thing I have eaten outdoors are weeds, which were the decoration on the mud cakes I made. The toughest challenge at Cubs that I have faced so far was getting my swimming badge. I was not a good swimmer at the time, but I made it with the encouragement of my Akela and my fellow Cubs. 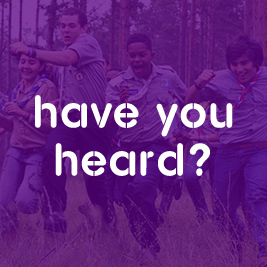 The most amazing place I have visited with Cubs was the Scout camping ground, where we held the Cub camp last year. I have learnt that I should try and help other people. I have also learnt that I should look after the earth by not littering. I have helped the community by collecting plastic bottles for recycling and by bringing water when there was a water shortage because of a drought. I taught my Mom how to make a fire without using firelighters, and how to tie all kinds of different knots. A good Akela is someone who is a good leader and teacher. They need to like children and have lots of patience. My Akela is special because he teaches us lots of things and helps us to get our badges. He always encourages us, and helps us believe in ourselves. Cubbing Rocks because … you are part of a group. It is where you learn and have very interesting and exciting adventures. It is great Fun. My Akela makes sure that we are safe!